Why would I need self storage in Waterbury, CT? There are a variety of reasons why you might need self-storage in Waterbury, CT.
How much is a storage unit in Waterbury, CT? The cheapest storage unit in Waterbury, CT is $52.00 per month. What size storage units do you have available in Waterbury, CT? In Waterbury, CT we have sizes that range from 5'x5' to 10'x30' to suit your storage needs. How much is it for a 5'x5' storage unit in Waterbury, CT? The cheapest 5'x5' storage unit in Waterbury, CT is $52.00 per month. Waterbury is a bustling Connecticut city nestled along the banks of the Naugatuck River, little more than 30 miles from Hartford and less than 80 miles from New York City. It's a mid-size city, but still one of the largest in the state. Waterbury is nicknamed "The Brass City" in honor of its early-20th-century status as one of the leading brass manufacturers in the nation. The earliest inhabitants of Waterbury were Native Americans, who sold parcels of land to settlers in the 1670s. The Algonquin name for the area was "Mattatock," which means a "place without trees." Mattatock's name was changed to Waterbury in 1686 when it was added as the 28th city in the Connecticut Colony. Its development was very slow over its first 100 years, mainly because the regular flooding of the Naugatuck River discouraged a number of settlers from attempting to establish homes in the area. In the early 19th century, the small town ventured into the production of brass, catapulting Waterbury into a position as a leading center of American industry. Energy from the area's rivers was used to operate the factories, and immigrants arrived from all over the world to take advantage of plentiful jobs. The newly titled "Brass Capital of the World" earned official incorporation in 1853. Despite a high cost of living, many people continue to be drawn to Waterbury by its historic downtown core, rich history and welcoming atmosphere. You can also commute to Hartford, New Haven and other nearby communities with relative ease, giving you access to Ivy League schools, museums and a variety of jobs. Waterbury is divided into more than 25 different neighborhoods, with history and cultural communities establishing the borders. Although the lines have blurred over the decades, each community still has its own unique personality and features. Most of the neighborhoods offer local shops and restaurants within walking distance of its residents' homes, and it's not uncommon for residents to live, work and play within their neighborhood. The downtown district is the town's historic district, with many buildings that date as far back as the 19th century. Waterbury Public Schools runs the public schools of Waterbury. You can also enroll your child in one of the many private schools in the city, with plenty of options whether you're looking for a parochial or secular education. Utilities: The Northeast Utilities Service Co., Spectra Energy and Yankee Gas are the community's major energy providers. Water is supplied by the city of Waterbury and the Connecticut Water Co. Garbage and Recycling: Your trash and recyclables will be collected curbside on a regular basis, with your specific location determining your schedule. Transportation: Waterbury has a number of different public transit options. CT Transit operates local bus routes, and the Metro-North Railroad provides a connection to New York City's Grand Central Terminal. 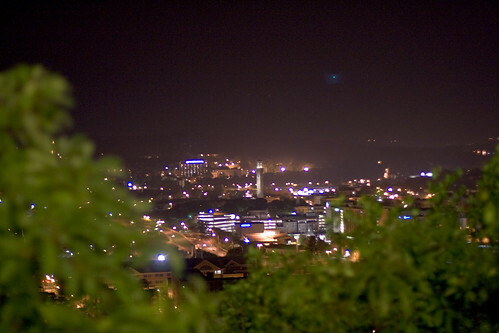 Waterbury consists of a large number of neighborhoods. The most expensive neighborhoods tend to be around Bunker Hill, Main Street, East Mountain and West Side Hill. In general, Waterbury is far more affordable than most other cities in Connecticut, and its median home price is also considerably lower than the national average. Our lowest priced units in Waterbury, CT average $52.00 per month. 50 people have reserved units in Waterbury, CT in the past 30 days. There is 1 location within Waterbury, CT's city limits.